How long have you been with ERS and what role were you in before joining the Agriculture team? I joined ERS in November 2016. Prior to my role in the Agriculture team I was working in the Commercial Underwriting team, so had touched upon the Agricultural side of the business before. Why did you want to join the Agriculture team? I wanted a challenge. I’ve always wanted to progress, be a fountain of knowledge so that I can help others, whether that be a new team member just starting out or using what I’ve learnt to tackle obstacles I’m faced with. 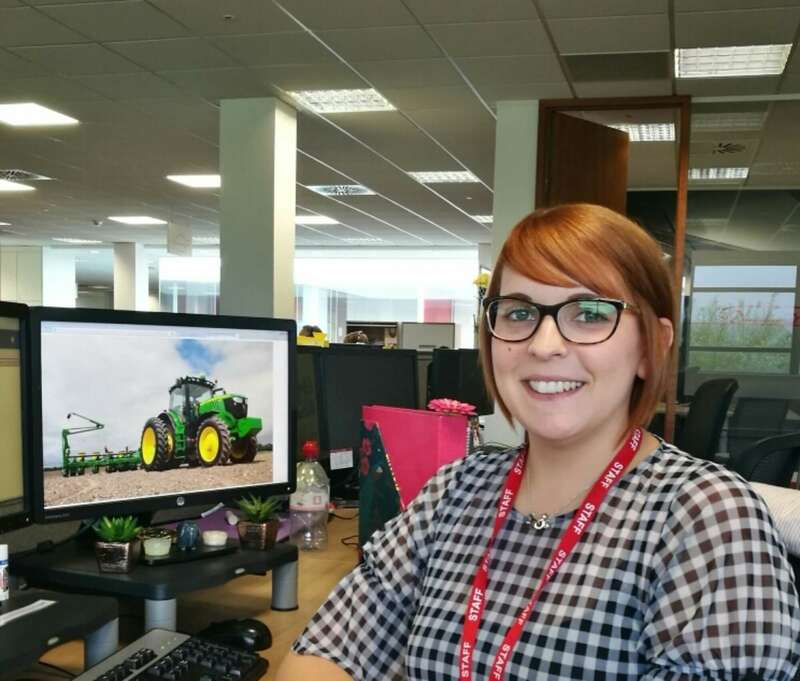 Joining the Agri team gave me this chance and I saw it as a natural progression from what I’d already learnt on the Commercial team. My responsibilities within the team cover all areas from loading and issuing quotes to generating renewal invites and dealing with broker queries. The reason we were chosen to work in this team is because we know what is needed from us and we get it done to the best of our ability without the need for management intervention. We are a knowledgeable team and have undergone the relevant training in the demands of the sector and so can help brokers with what they need quickly. What are the key benefits of the new team – what makes it different? We are different because we are specialist end-to-end. The moment their call is picked up the broker knows they’re speaking to someone who gets agriculture. We’ve undergone training on the specifics of dealing with agriculture polices throughout the lifecycle and we feel confident to deal with the many types of issues and enquires that can arise. This is not least because we are a specialist insurer and there is always someone here that can apply a specialist lens to a problem and how to solve it. I’m also proud to be taking the team to my Dad’s farm later today to learn more first hand about life on a working farm - so you can’t say we don’t go the extra mile! What do you think brokers value most – from an underwriting perspective? I think the brokers just want the job done, and they want it done efficiently and effectively for their clients. Brokers value their clients and want the best cover for them at the best price and we are here to provide that service to them. I also think that by setting up the specialist agriculture team we can now start to gain more of a rapport with our brokers, and with rapport comes trust. Brokers need to trust us, they need to trust that they can ask something of us and it will be done. The work ethic from everyone on the team really shows. I have been able to progress within the team already, becoming a referral point for my fellow colleagues. All of the above makes this job rewarding but it’s helping our brokers help their clients so that they can focus on the farm that motivates me every day.